Please be sure to read the Rules of the sub-forums before posting here. What's it worth threads will only be permitted if the thread meets the relevant ad rules. In here you'll find members who make and trade parts to the forum. Buy stuff, support your club. 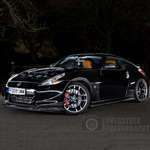 Post your 350Z for sale advert here, or look for a bargain! 100 posts minimum before advertising. OP can request the ad to be locked. Classifieds for Zeds being broke for spares. Rules apply - please contact a Team member prior to posting. Post your items here that you wish to swap. Other car parts for sale, Aftermarket and OEM. Minumum 15 post count rule applies. Post bargains you have spotted from eBay etc here.